More often we are asked by our customers if we can advise a Business Processes Management tool that can solve their problems: ERP systems can assist virtually any industry because at every company, regardless of its distinct line of business, workflow speed, efficiency and overall productivity is essential. Healthcare and dental service in particular is no different, which is why ERP is rapidly growing in the sector. FYI: ERP (Enterprise Resource Planning) is a system for managing and controlling business processes, labor resources, finances and assets, focused on optimizing and increasing the efficiency of the company. At the same time, when implementing the ERP system, the personnel of the dental service institution need to make some efforts - to enter information into the system according to the available templates and forms, consistently keep electronic medical records and necessarily follow the algorithm of working with this or that information system. The advantages that the owner of a dental service will have from the use of an ERP system depend on the tasks that he put in selecting and implementing one or another system. extensive reporting capabilities, in particular real-time reporting. Patients of such clinics also have the advantage of using an ERP software. These advantages depend on the capabilities of the system itself, as well as on those of its functions, to which the institution provided access to patients. improvement of medical result (quality management). Undoubtedly, this list is not exhaustive, it only allows us to outline some of the advantages of implementing ERP software. Every concrete case of system implementation has its results. 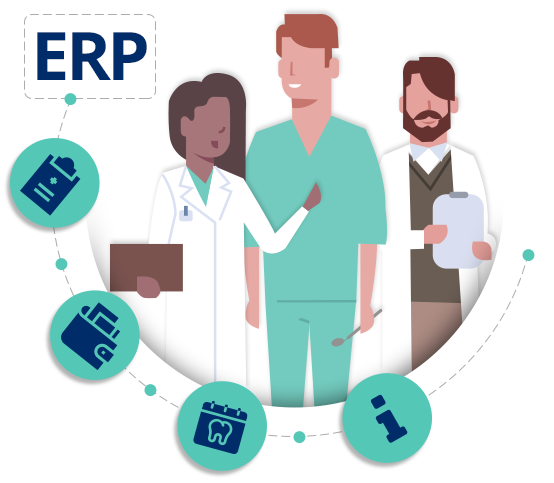 In general ERP system implementation increase the efficiency of management, image among dental services and potential patients.In general ERP system implementation increase the efficiency of management, image among dental services and potential patients. 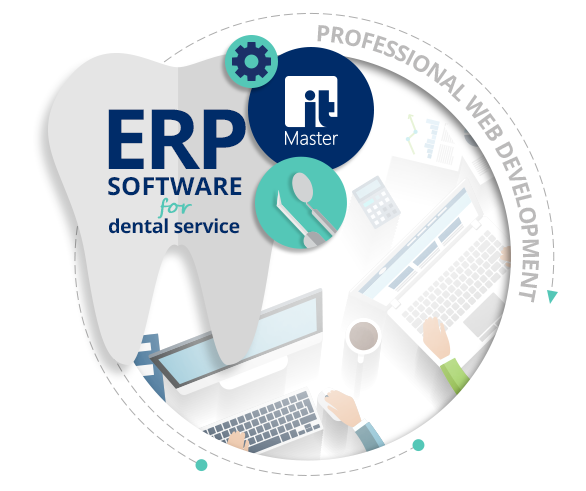 Want to know more about ERP system in dental service? Ask professionals from IT Master Soft.